InfernaGaming here with a deadly new PvP strategy for Death Wizards. The main goal for Legendary Death in the arena is hit hard and hit fast. For this strategy you will use Myth mastery. Part of the reason I chose Myth as a secondary school was to get rid of the enemies blades and shields whenever I could. 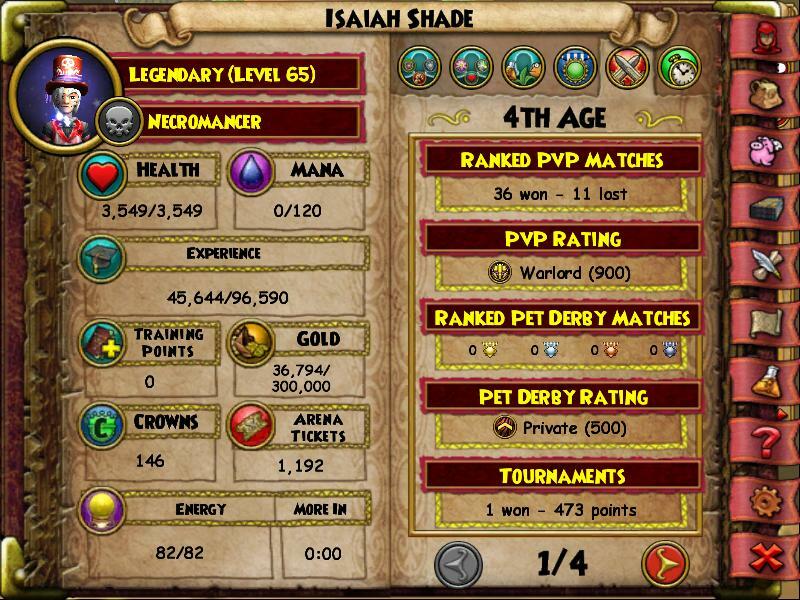 My Wizards stats ended up at 110 Damage, 22 Pierce and 29 Resist. 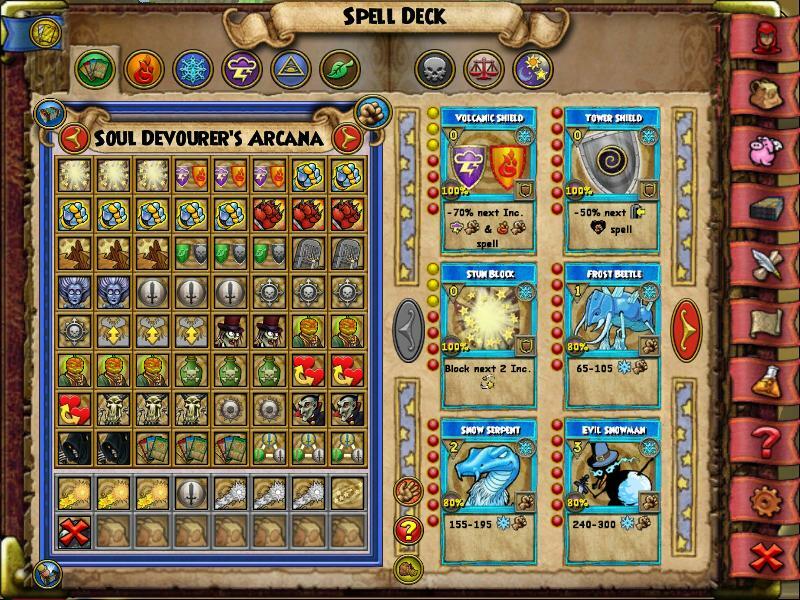 3 Stun Blocks, 3 Thermic Shields, 7 Gargantuan, 3 Monstrous, 3 Earthquake, 3 Ether Shield, 2 Animate, 2 Banshee, 3 Death Blades, 4 Doom and Glooms, 2 Feints, 2 Ghouls, 5 Headless Horseman, 3 Poison, 3 Sacrifice, 3 Skeletal Dragon, 2 Death Dispel, 2 Vampires, 2 Wraiths, 3 Reshuffles, and 3 Spiritual Blades. 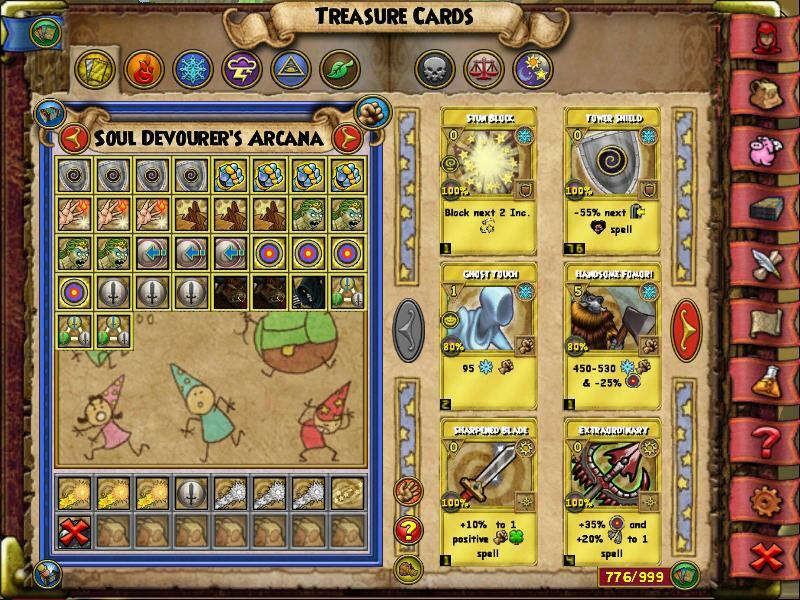 4 Tower Shields, 4 Gargantuan TC, 3 Triage, 3 Earthquakes (enchanted preferably), 4 Medusa, 3 Shift TC, 4 Infallible, 3 Death Blade TC, 2 Deadly Minotaur TC, 1 Wraith, and 3 Spiritual Blades. The strategy is simple. Start by blade stacking using Spirit Blades because they have both Myth and Death blades. Over-time hits like Poison and Skeletal Dragon will remove shields and chip away at your enemies health. This will also prevent any future shield the opponent might cast, leaving them open. If you catch your opponent with no stun blocks, Medusa would play next very well. This attack with a two-round stun can prove quite deadly. After Medusa, you can catch them open. Feint into a Headless Horseman, ending in a huge hit. If my opponent casts a lot of shields, I would Earthquake or Deadly Minotaur into a Headless. An Earthquake also works very well against minions, and will usually kill them with this setup. This is all possible because of blade stacking, and high damage stats. Triage and Shift will come in handy as a defense against Wizards who hit with over-time attacks. With these treasure cards, you can survive a game-ending over-time attack like Burning Rampage. I hope this guide will get your Death started in the arena! Let us know how this strategy works out for you in the comments below.